May 20, 2011, Dien Bien Province, Vietnam, Phongsali, Laos, and Washington, D.C. The Socialist Republic of Vietnam (SRV) has unleashed attack helicopters on unarmed Vietnamese civilians and those suspected of participating in mass rallies involving an estimated 8,500 Viet-Hmong protesters, including thousands of Catholic, Protestant Christian and animist religious believers seeking human rights and land reforms. Today, newly deployed squadrons of MI-24 “Hind” helicopter gunships flew bloody combat sorties against ethnic Hmong villagers and protesters fleeing into the rugged interior of Dien Bien province and across the border into Laos, according to the Center for Public Policy Analysis and Hmong and Vietnamese sources in Vietnam and Laos. Some Vietnamese clerics with ties to the Vietnamese Ministry of Interior, and secret police, have join Vietnamese government officials in declaring that all of the Hmong protestors are cult members and irredentists, a theme often repeated by Hanoi’s state-run media, and parroted by the official propaganda apparatus, to justify the use of armed force against ethnic Hmong-Vietnamese and Vietnamese Christians who have previously joined peaceful Catholic and mainstream Protestant demonstrations, including demonstrations in Hanoi in previous years for religious freedom and government reforms. 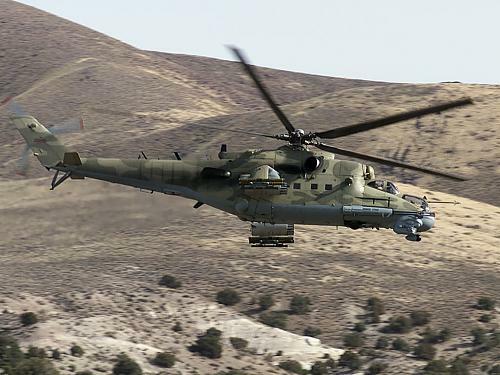 An estimated thirty-four (34) Soviet-era “HIND” MI-24 assault helicopters remain in the SRV’s current arsenal. Older MI-8 helicopters have also been deployed. 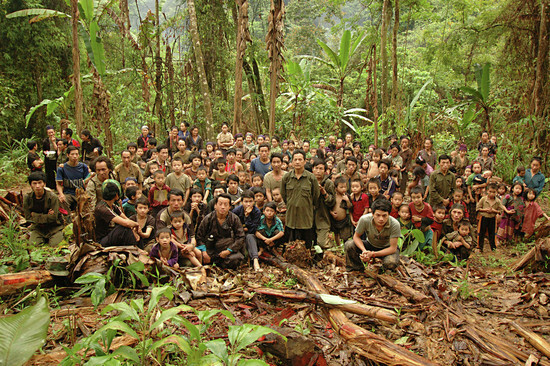 Special units of the Vietnam People’s Army, including “Dac Cong” special forces units with Viet-Hmong translators, have been mobilized to assist heliborne troops in tracking, arresting, interogating and summarily executing suspected Hmong demonstrators who have fled into the rugged interior. “Our Hmong people are being attacked without mercy and killed and wounded by the helicopters sent from Hanoi to machine gun and bomb their villages and pursue them into the mountains and jungles of Dien Bien province in Vietnam and Laos,” said Christy Lee, Executive Director for Hmong Advance, Inc.
“Do they deserve to be attacked by armed force by the Army for their non-violent appeals for civil rights, human rights and reform?” Ms. Lee questioned. 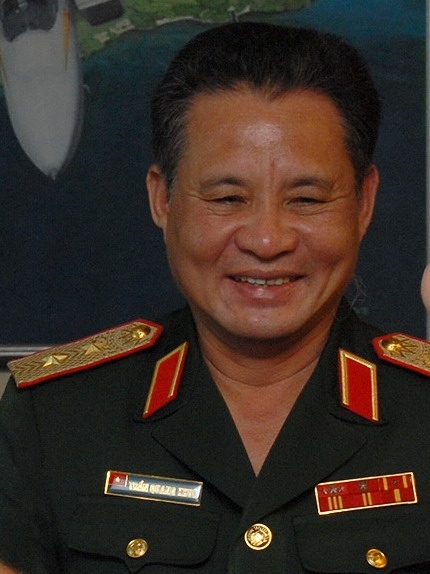 Lt General Tran Quang Khue, Vietnam People's Army, Deputy Chief of Staff of the Armed Forces, has sent new army regiments, trucks, armored vehicles and attack helicopters to pursue Hmong Catholic and Christian demonstrators in Dien Bein Province. (Photo Courtesy, Center for Public Policy Analysis, License CC2-DOD). “M-24 ‘Hind” attack helicopters are now being deployed by Hanoi to fire their machine guns and launch deadly rockets at the Hmong who are fleeing into the rugged mountain interior of Dien Province and across the border into Laos,” Smith said. “Today, two Hmong mountain villages, and several enclaves, in Vietnam were attacked by helicopter gunships and we are awaiting final casualty figures since there were more killed and many wounded in the havoc and the aftermath of the aerial bombardment.” “Viet-Hmong casualties and those arrested by Vietnam People’s Army soldiers continue to mount with each passing day as the military continues its bloody crackdown and security operations in Dien Bien province have intensified,” Smith stated. “Vietnam’s Minister of Defense, General Phung Quang Thanh, and others in the military and politburo, are concerned about mass demonstrations spreading to the general population who may also appeal for reforms, greater freedom and regime change in Vietnam and Laos,” Smith commented. “We are also concerned that the Lao People’s Army, lead by Vietnamese troops and advisors, has mobilized in Luang Prabang Province and the Phongsali area in Laos, in support of the efforts to seal off Dien Bien province to journalists and assist in interdicting and capturing Hmong demonstrators fleeing Vietnam,” Smith concluded. Vietnam has sealed key areas of Dien Bien province off to independent journalists as it continues military operations against targeting the Viet-Hmong citizens who engaged in peaceful, non-violent protests that began earlier this month. Protesters were demanding greater religious freedom, land reform, human rights and an end to illegal logging and the exploitation of their lands and resources by Vietnam People’s Army-owned companies. When combined, sure treatment, medicines, substances or toxins could react causing Profuse sweating as a symptom. The subsequent itemizing of circumstances have ‘ Profuse sweating ‘ or associated listed as a symptom in our database. Choose from the next alphabetical view of situations which embrace a symptom of Profuse sweating or choose View All. Furthermore, politicians have been profuse sufficient, serving largely to stagnate authorities and delay any true progress. It appears it would not matter what you do you’ll be able to’t stop your sweating or the episodes of sweating from beginning. Extreme sweating can come and go not typically, happen steadily, or persist indefinitely.